My dream of writing my own book is still a dream. Never managed to get that started despite having good support from well-wishers. But as a consolation prize, I now have my name on a book- on its back cover to be precise. 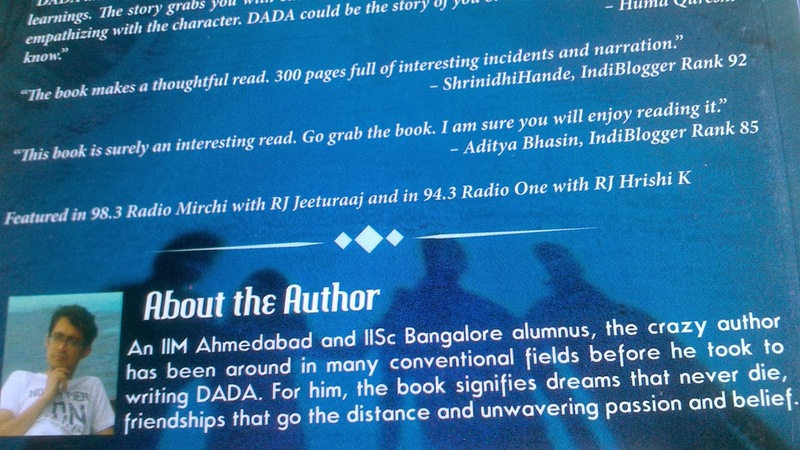 Thanks to the author of “Dada” and his team, who have been kind enough to publish my tiny feedback on the back cover of their book during its subsequent edition, I now have a very special book in my shelf. At the time of me giving the feedback, my then Indiblogger rank was 92. But Indiblogger rankings keep changing every month and unfortunately it has now slipped down to 87. Now that a rank of 92 is published, I should strive regaining that rank! My review of Dada, written by Vibhor tikiya was one of the most read posts in this blog last year. 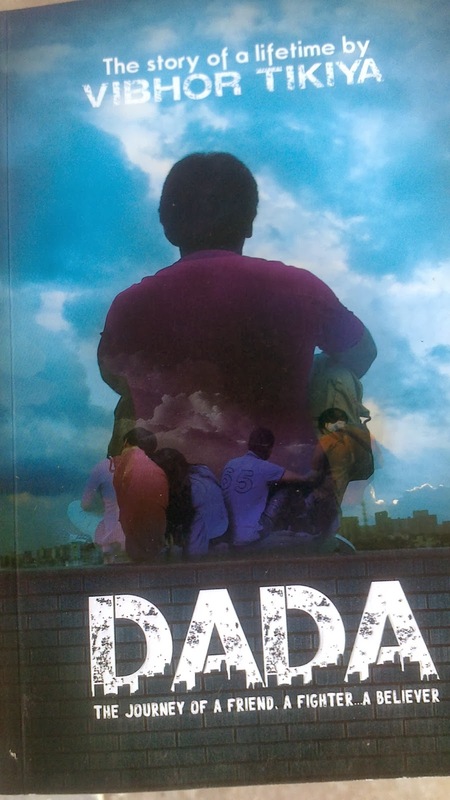 [Read about other most read posts here] Dada is an interesting story of how an otherwise low scoring student made it into one of the prestigious institutes in the country and virtually ruled the campus till the end. When team Dada offered to ship me a few copies of new book with my statement on it, I was expecting 2-3 copies. But in true Dada style, they have shipped 10 copies of the book. I've given few of them to my colleagues and friends who were interested in reading it. I have few more copies that I can give away to my readers. If you're in Chennai or Bengaluru and are interested in reading Dada, let me know. Wishing more success to the book and its author.